Do you love Kelis? Do these images appeal to you? Would you be content to stare at them on your wall all day long? If the answer is yes, then YOU can win this exclusive double-sided Kelis poster promoting her upcoming album, Flesh Tone. The poster is 14x22 and if you get tired of one side, you can flip it over to the other! The beauty of the 2 sided poster! 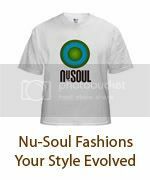 To win, send your FULL LEGAL NAME and mailing address to info@nu-soulmag.com with the subject "KELIS CONTEST", with a form of contact, either e-mail or phone number. Entries must be in by June 11.